Café Papeneiland, Amsterdam — Gezellig! The other day we had dinner with a couple of friends. Afterward the four of use walked to Café Papeneiland for a nightcap. 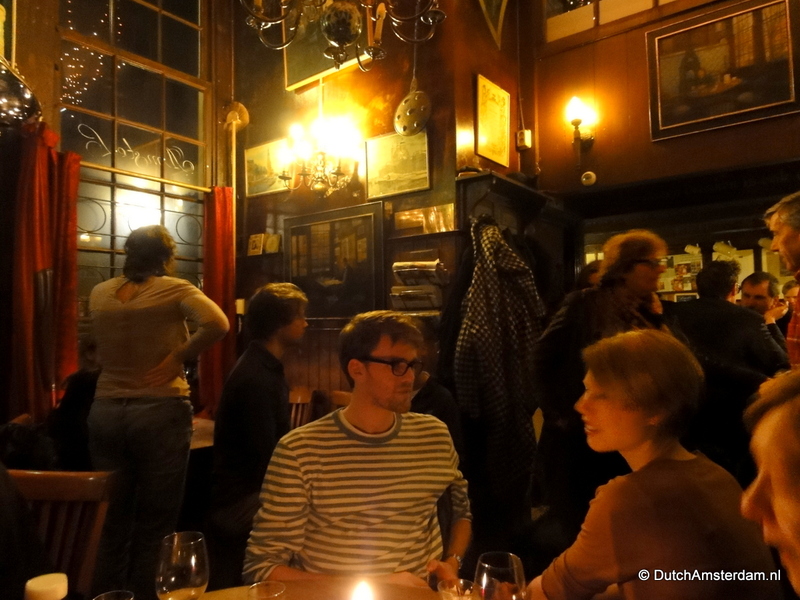 In business since 1642, this very small café is one of the oldest in Amsterdam. Whenever I’m in the neighborhood I tend to stop by for a cup of good coffee and a very generous slice of apple pie. Incidentally, the name of the pub, Papeneiland means Popes’ Island. The short story behind that name is that in 1860 — during a time when Catholics were not allowed to worship in public — there was a hidden Catholic church in the block of houses that is home to the pub. It is even rumored that there was a tunnel underneath the Prinsengracht that led to either the church or the pub. Whether it’s true, who knows. But it’s fine story. Anyway, in looking at this photo I thought it illustrates what the Dutch refer to as ‘gezellig‘ — a word that does not have an equivalent in the English language. It is most often translated as ‘cozy,’ but that word simply doesn’t even begin to capture the true meaning of gezellig. As for the apple pie, last year even Bill Clinton stopped by. He ate a slice of pie, and promptly took one home.